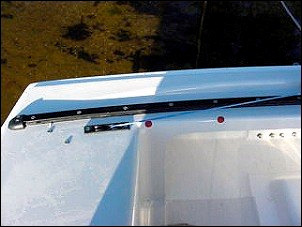 Though the mainsheet is your throttle when sailing to windward the C Scow traveler (rear of the boat) can be used to position the boom for different wind conditions. 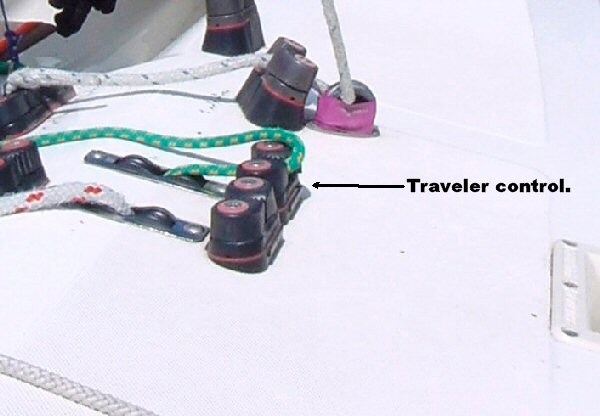 The traveler controls are located on most boats as dual controls to be operated on either tack. Actual location varies by boat, but they are easily accessible by either the skipper or crew. 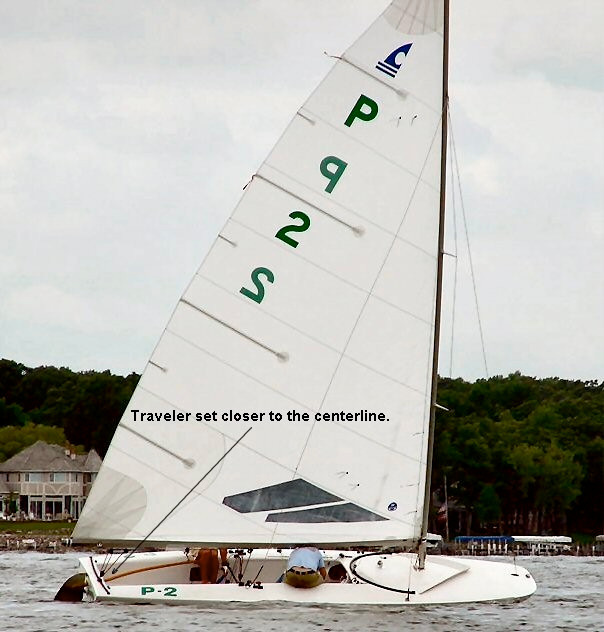 In very light wind (0-4) the traveler can be anywhere from 6" to 12" off center. 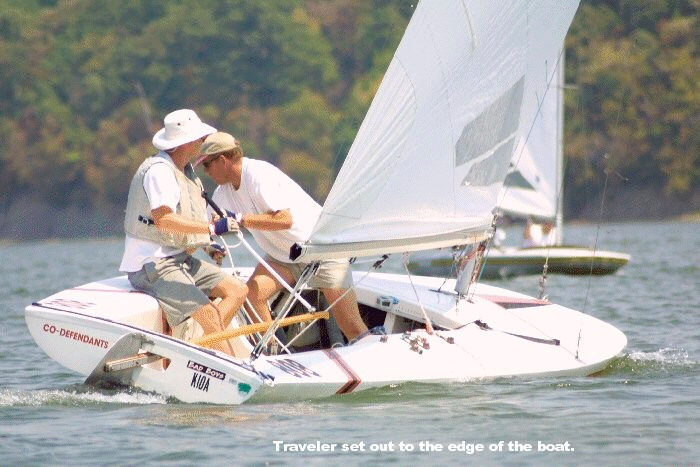 The traveler is normally set closer to the centerline in flat water and more outboard in waves. In medium air (6-12) the best position in 12-15" off center. As the boat becomes overpowered with some cunningham and vang tension already on the traveler is set out to the edge of the boat. However, be sure to pull it back in to the 12-15" position in the lulls to point high.